When we think about good wildlife habitat, we generally picture lands undisturbed by human construction or agriculture. Given that humans use roughly half the planet’s land area for such purposes, Earth’s “good habitat” ain’t what it used to be. But what effect, exactly, has the loss of habitat had on all the species not named Homo sapiens? That’s a big, and therefore difficult, question to answer precisely. Plenty of effort has gone into estimating the number of species we’ve driven to extinction—we’ll eventually become the Sixth Mass Extinction event if we keep up at our current clip—but that can obscure the local details that tell us how the ecosystems around us are functioning. A huge group of researchers led by Tim Newbold of the UNEP World Conservation Monitoring Centre and Lawrence Hudson of London’s Natural History Museum have now focused in on those local details. The researchers compiled the results of 378 published ecology studies of over 11,000 sites around the world, including observations of almost 27,000 species—vertebrates, invertebrates, and plants. The goal? 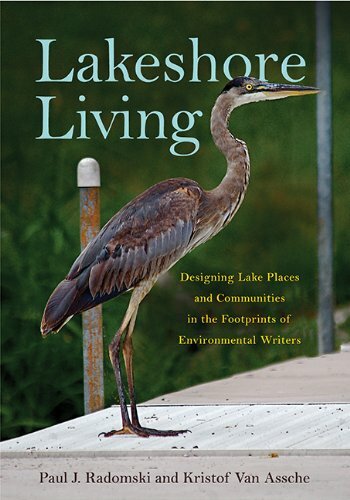 To find ecological communities living on lands with varying human impact and see how they’re doing. Unsurprisingly, croplands, pasture, and urban lands were associated with fewer species, fewer organisms, and smaller organisms than undisturbed areas. Agricultural lands, for example, hosted 20 to 40 percent fewer species, on average. On the positive side, they also found that areas allowed to recover after human disturbance—like reforested lands—scored about as well as areas that hadn’t been touched. by Tim Newbold et al. Human activities, especially conversion and degradation of habitats, are causing global biodiversity declines. How local ecological assemblages are responding is less clear—a concern given their importance for many ecosystem functions and services. We analysed a terrestrial assemblage database of unprecedented geographic and taxonomic coverage to quantify local biodiversity responses to land use and related changes. Here we show that in the worst-affected habitats, these pressures reduce within-sample species richness by an average of 76.5%, total abundance by 39.5% and rarefaction-based richness by 40.3%. We estimate that, globally, these pressures have already slightly reduced average within-sample richness (by 13.6%), total abundance (10.7%) and rarefaction-based richness (8.1%), with changes showing marked spatial variation. Rapid further losses are predicted under a business-as-usual land-use scenario; within-sample richness is projected to fall by a further 3.4% globally by 2100, with losses concentrated in biodiverse but economically poor countries. Strong mitigation can deliver much more positive biodiversity changes (up to a 1.9% average increase) that are less strongly related to countries' socioeconomic status.